An understanding of political reali­ties and historical analysis clearly confirms that the approach adopted in Saudi-Pakistan bilat­eral relations has always been of a cooperative nature since the two countries have common historical, religious, cultural and human relationships, which continue to embody the true principles of solidarity and brotherhood, as well as both countries standing shoulder to shoulder in the face of domestic and mutual global challenges. The official positions adopted by the two countries, highlight the significant and extensive coordi­nation between the two countries whenever crises have occurred. There is a joint desire by both countries to advance their cooperation in all fields leading to a comprehensive part­nership, which could help the two countries realize their common interests. Relations between the two pivotal regional countries have grown deeper over time in light of their shared mutual visions and their commitment to moderate political systems, as well as their desire to promote peaceful coexistence and tolerance instead of narrow intellectual prejudices and sectarian fanati­cism. The two countries share similar views on encouraging greater openness to the world based on common norms, laws, and cooperat­ing closely in international forums and sharing concordant positions on regional and interna­tional issues. Saudi-Pakistani strategic cooperation can be found in the religious, political, military, eco­nomic and cultural spheres. This cooperation is currently at a pivotal stage preceded by diplomatic cooperation, with the two coun­tries expected to forge an ever closer strategic partnership to enhance joint coordination in addressing regional and global issues. This will help both countries to attain their mutual in­terests and improve their standing as heavy­weights in their respective geographic spheres of influence: the Middle East for Saudi Arabia and South Asia for Pakistan. The scope of co­operation and bilateral relations between the two countries has been highlighted by their participation in a number of conferences and other events. Economically, the Kingdom of Saudi Arabia hosts about 2.7 million Pakistani nationals (according to statistics issued by the Pakistani Consul General to the Kingdom, Shahriar Akbar Khan, in March 2018). These expatri­ates have formed a bridge between the two brotherly countries, playing a positive role in helping to advance the tremendous progress and development witnessed by both countries. 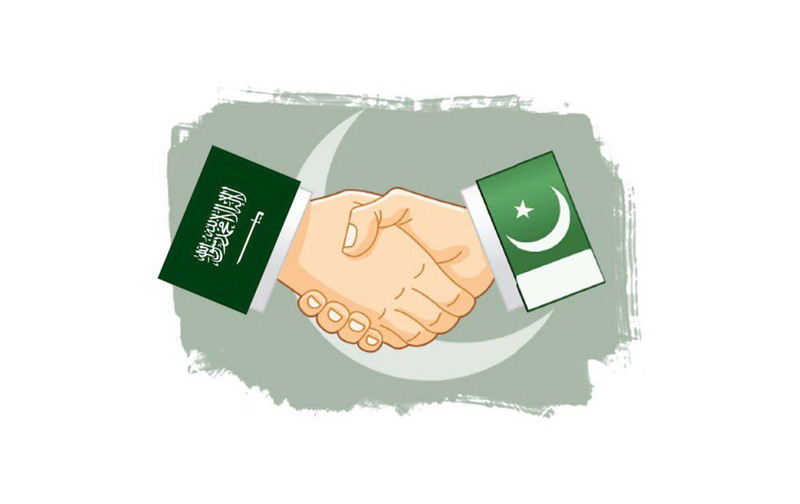 The two countries jointly launched the Saudi- Pakistan Trade Mission on January 14, 2019, with some 116 Saudi-Pakistani companies participating. This comes at a time when the two countries have revived the Saudi-Pakistani Business Council to develop bilateral trade and investment relations. Meanwhile, April 2019 will see the Pakistani Investment Forum in Riyadh with around 300 Pakistani investors participating in the event, promoting greater interaction between the Saudi and Pakistani private sectors. When Pakistan experienced financial tur­bulence recently, the Kingdom was the first country to help Islamabad, offering the coun­try a $ 3 billion bailout package to re-stabilize the country’s financial situation and boost Pakistan’s foreign exchange reserves. Besides, Saudi Arabia offered other facilities by grant­ing Pakistan a one-year grace period on pay­ment for oil imports worth $ 3 billion. Saudi Arabia also intends to set up a $ 10 billion oil refinery at Pakistan’s Gwadar port overlooking the Indian Ocean. Strategic relations between the two coun­tries date back to Pakistan’s independence in 1947 when military cooperation and joint defence agreements were signed. This alliance advanced further when Islamabad joined the Riyadh led Islamic military alliance to fight ter­rorism, which was announced in December 2015. It is headed by one of the former best leaders of the Pakistani army Gen. Raheel Sharif. This alliance aims to fight all forms of terrorism and to support moderation, laying a foundation for deep-rooted ties between Riyadh and Islamabad in the face of regional and international challenges especially in light of Gen. Sharif ’s statement in 2016 that any threat to Saudi Arabia would provoke a strong response from Pakistan. The two countries also hold joint military drills, most notably the Samsam manoeuvres held in February 2018. The deep-rooted bilateral ties resulted in the newly appointed Pakistani Prime Minister Imran Khan making Saudi Arabia his first point of call on his international tour in September 2018 shortly after he took of­fice. The visit opened the door for further diplomatic exchanges between the two coun­tries’ senior officials, which resulted in sign­ing deals and protocols of cooperation in all fields. During one of these visits, on September 5, 2018, the Pakistani Information Minister, Fawwad Choudhary, announced, that Pakistan will never allow any party whatsoever to pose a threat to the Two Holy Mosques and to the Kingdom, adding that any attack on the Kingdom would be viewed as an attack on Pakistan itself. Published in The Asian Telegraph on January 30th, 2019.